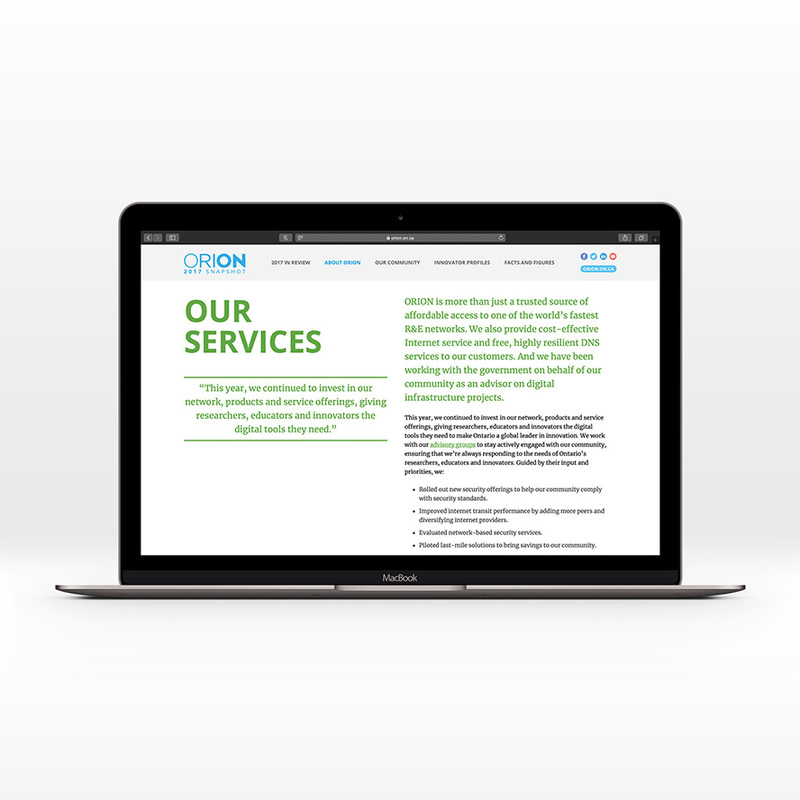 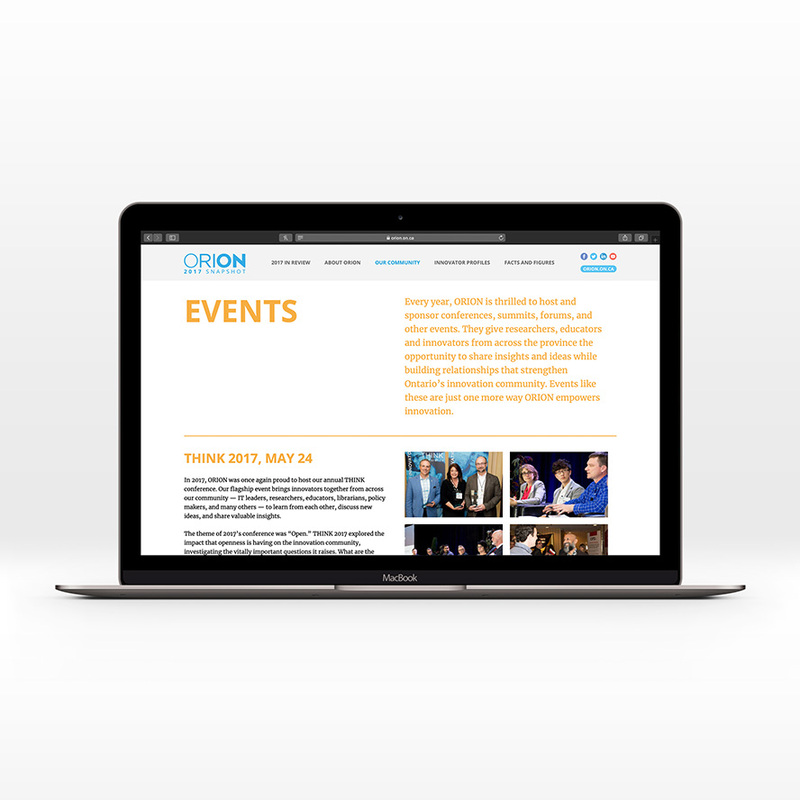 ORION is a not-for-profit organization committed to actively supporting Ontario’s researchers, educators and innovators. 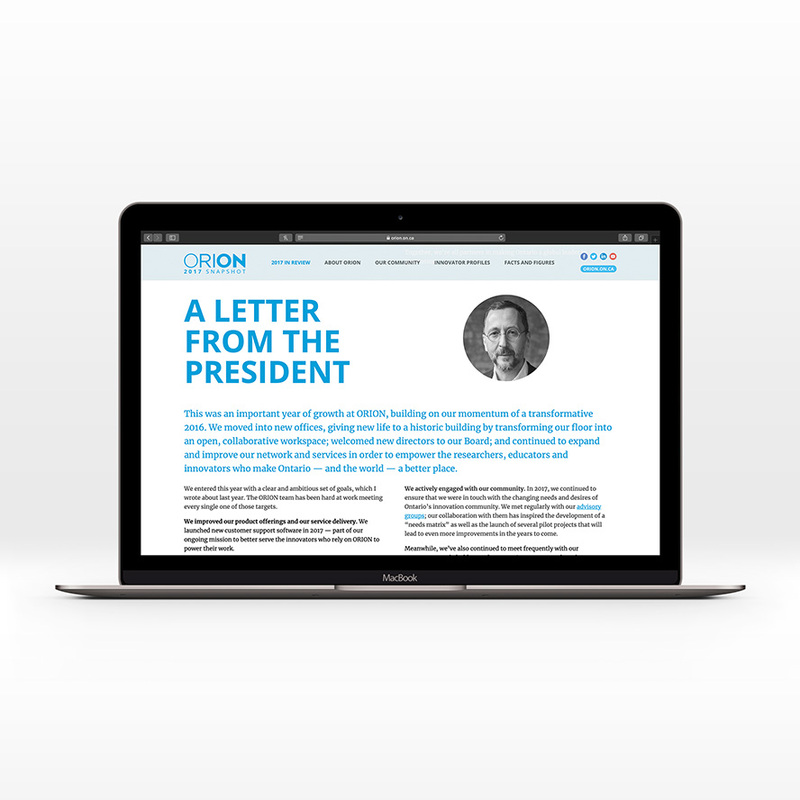 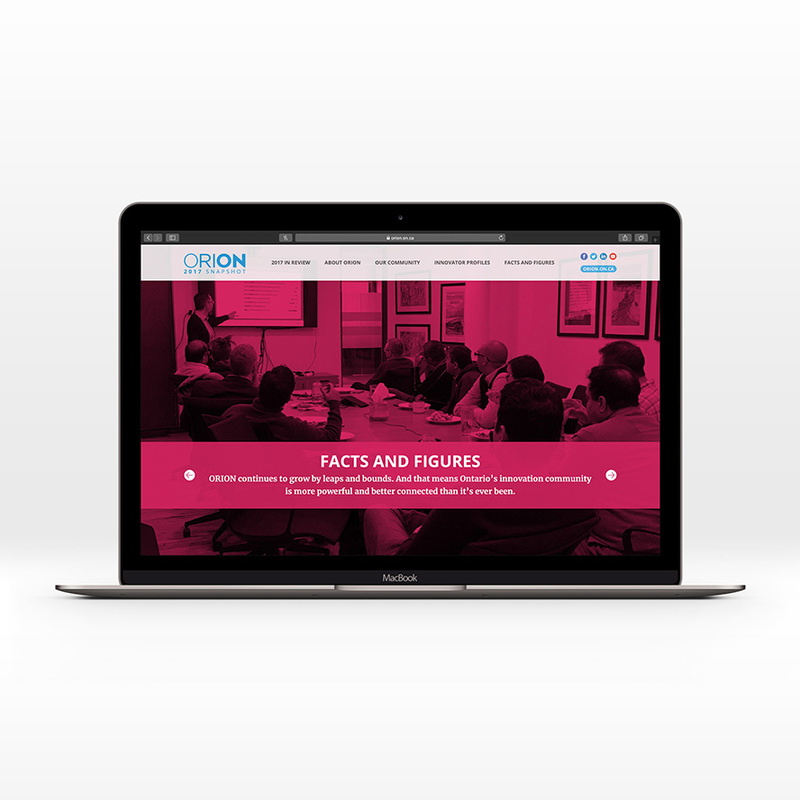 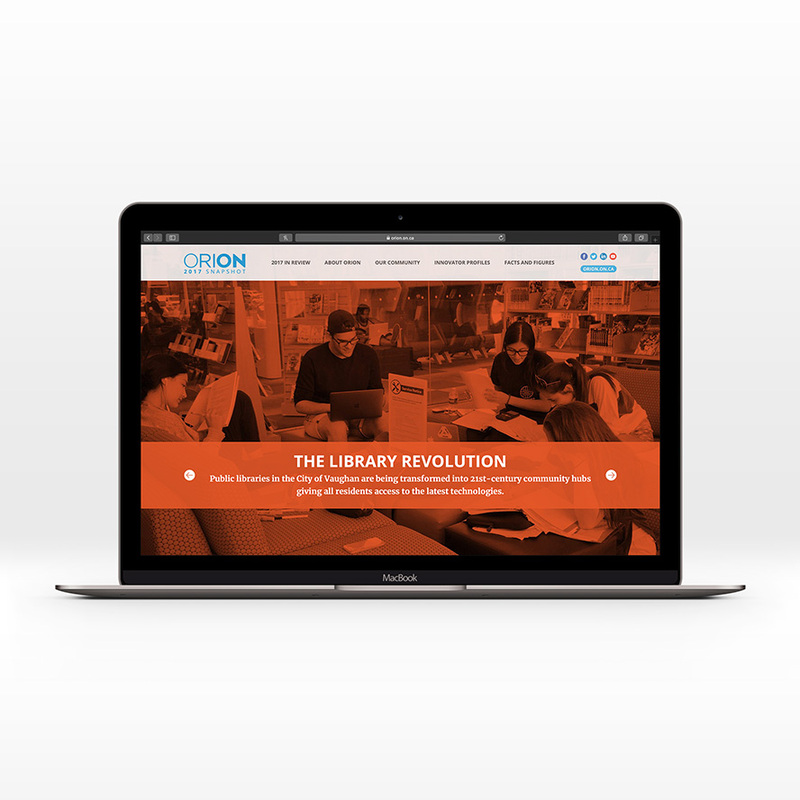 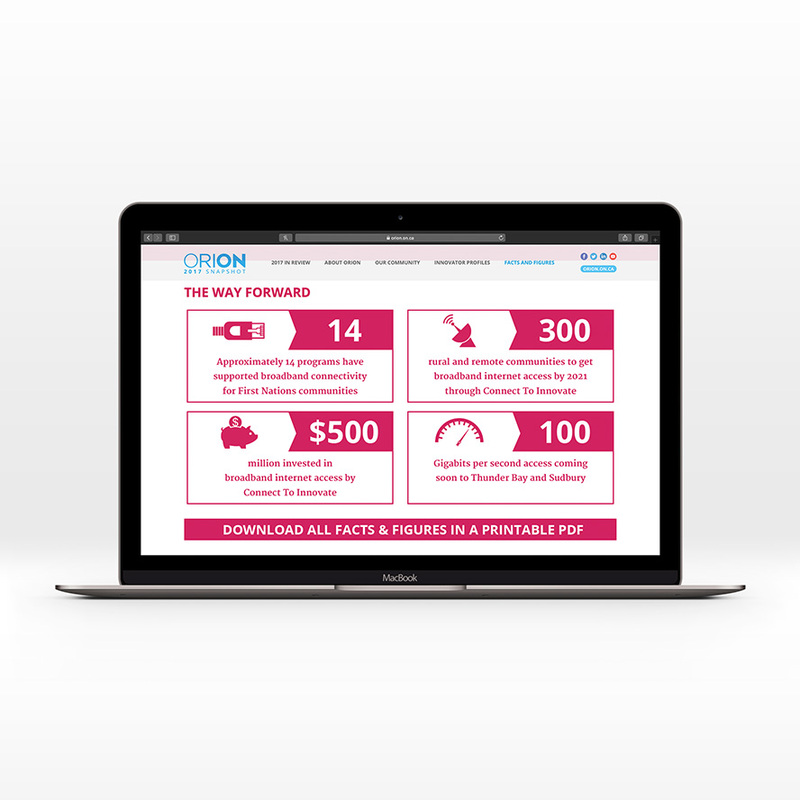 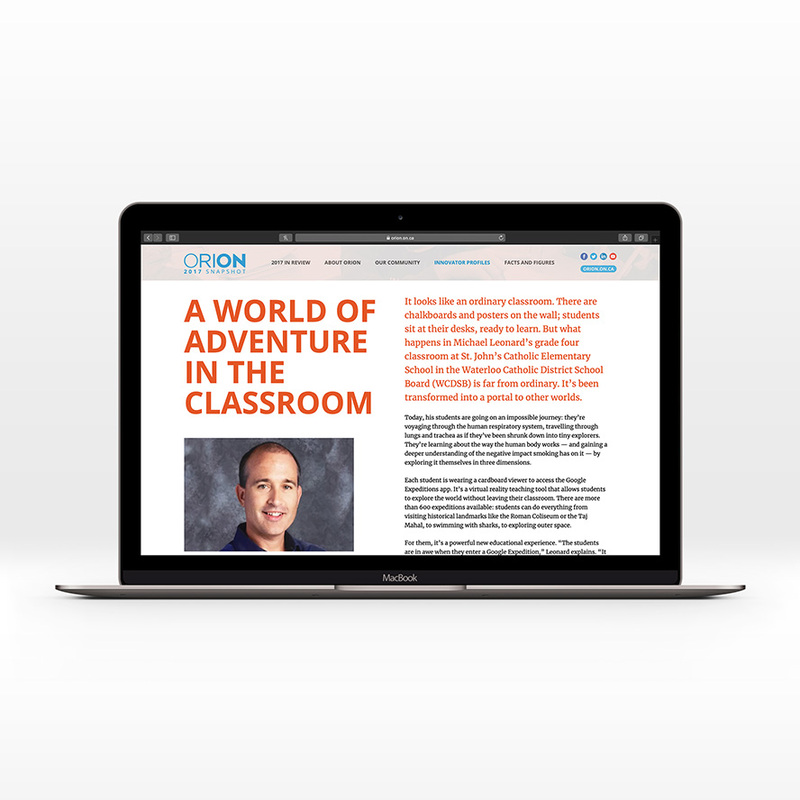 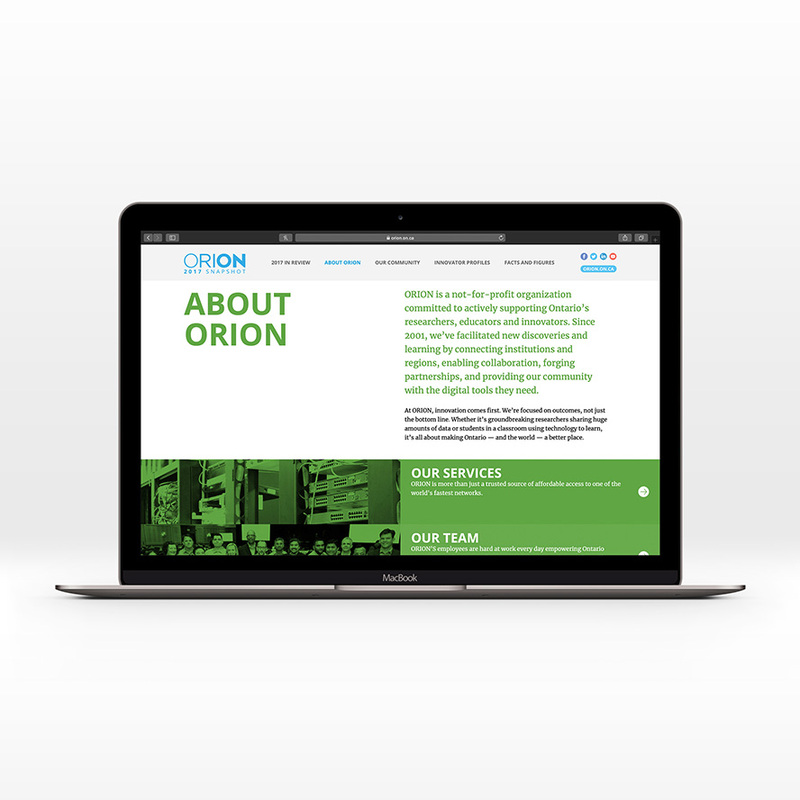 Since 2001, ORION have facilitated new discoveries and learning by connecting institutions and regions, enabling collaboration, forging partnerships, and providing our community with the digital tools they need to make the world a better place. 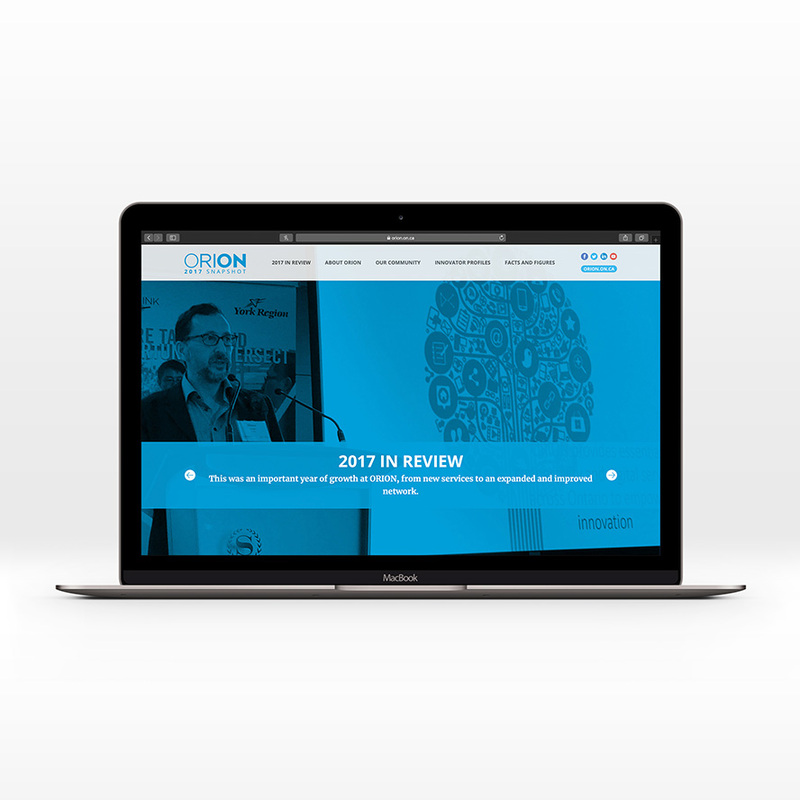 Nerd House Design was contacted by Ripple Creative Strategy to create concepts and design for ORION's 2017 Snapshot website.